A Giant Bear Hug to everyone who applied for an art grant or to host a workshop. Our production team is busily reviewing all of the applications and will be in touch soon! Each and every year we are blown away by the creativity and passion brought by YOU the attendees! Want to participate in other ways? We've got you covered! You know what makes PEXSF great? Theme Camps. Also, the amazing community, art, talent, freedom, acceptance, love, music, ArtCabins, experiments, support..... But also, Theme Camps! If you and your friends want to challenge your awesomeness to reach new unfathomable levels, then consider creating a Theme Camp at PEXSF! Apply HERE before May 1st!!! A Theme Camp? An Art Installation? A Cabin? YES YES AND YES!! Did you know that YOU could create something magically experiential and reside on the luxurious Art Cabin Row at PEX Summer Festival this year??? There are a limited number of cabins so jump on this and be a part of the experience!! PEX isn't a spectator sport. 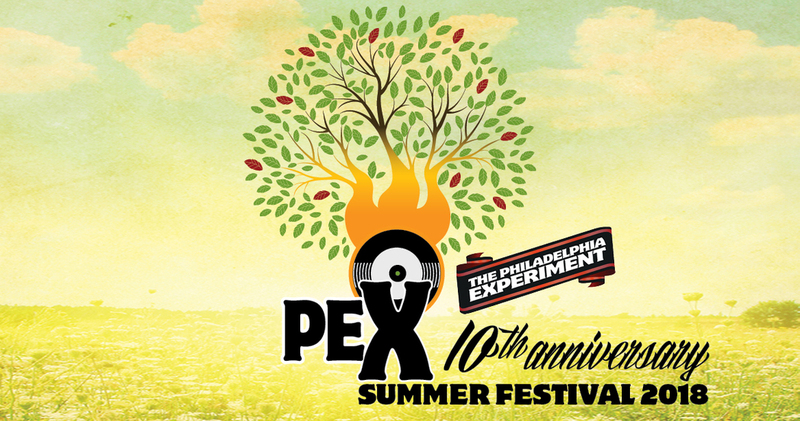 Help us make the magic of PEX Summer Festival by becoming a PEXticipant! Volunteer Applications Open NOW until May 15th. Conclave Auditions are Officially OPEN!! Do you have what it takes to "wow" the crowd at The Only Show Every Other Show Watches™️? Auditions are OPEN for the 2018 PEX Summer Festival Conclave. Get your crew together and submit today! Application will close May 31st so don't get burned submit your application today! Looking to participate in even more ways??? Check out the participation tab on the website. We value participation in the creation of PEX Summer Festival and encourage you to let us know how you would like to be a part of this event. To celebrate and recognize the participants and lifeblood of the entire PEX community, we will be gathering for an intimate collective experience. For this reason PEX Summer Festival is by invitation only. The first wave of invitations will go out March 2nd, 2018, then every 1st and 15th of the month until we sell out. If you have participated in the festival in the last two years you will receive an invitation! If you attended last year but bought your ticket from someone else we may not have your email address so you should Request an Invitation! If you want to join us for the first time or are returning from hiatus you should Request an Invitation!